Treasure Our Farms is an education program designed to engage and inform our local community about the value and beauty of Agriculture and Farming in Ventura County. The simple mission is to remind people to Treasure Our Farms and provide a history of farming roots and farming stories in Ventura County. Treasure Our Farms provides a deeper understanding of how agriculture and its partnering industries impact and support our local economy and how the agriculture industry touches so many lives in our community today. What would happen if our farms and ranches disappeared? The movement works to generate a deeper understanding of how agriculture and its partnering industries impact and support our local economy and touch so many lives every day. It combines impactful photos, stories, and statistics to inform the public and foster a greater appreciation of where our local food comes from. Treasureourfarms.com acts as an information “hub” to share stories, facts, agriculture education materials, and local partners’ websites and videos with the community. 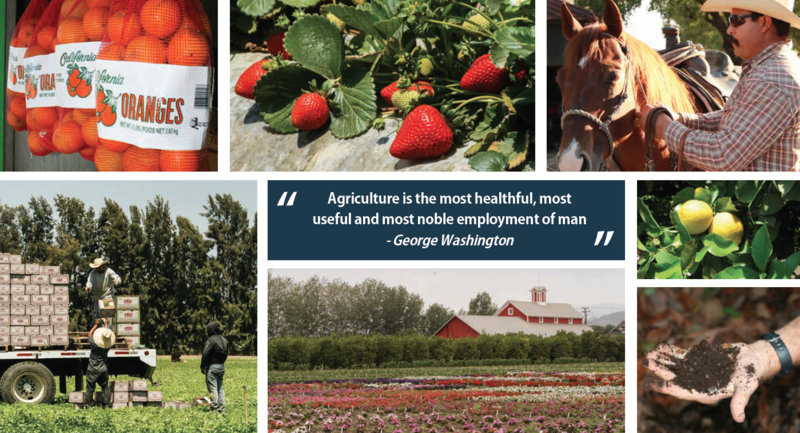 Treasure Our Farms lays the framework for a deeper understanding of Ventura County agriculture and is designed to foster a greater appreciation of where our local food comes from. The initiative presents a united front for the businesses and people of the agriculture landscape to come together in an effort to positively shift the perception of farming and agriculture in our community.